Why’s whisky still considered a man’s drink? Why, in today’s gender-inclusive world, is whisky still perceived as ‘a man’s drink’? Becky Paskin explores whether women really are intimidated by Scotch, and how the industry can normalise female enjoyment of whisky. What had been intended as a display of support for gender equality faceplanted into a frenzied backlash from whisky fans who instead perceived the limited edition blend as ‘patronising’. ‘Get a grip ... this isn't progress by any stretch of the imagination ... whisky is whisky ... we don't need wee girlie names or labels,’ @lynnslkcmoore tweeted. Women, it seems, are not so intimidated by whisky after all. In fact, 64% of respondents in a recent poll of more than 400 female Metro.co.uk readers felt they ‘couldn’t be less intimidated by Scotch if I tried’, while only 25% said they felt intimidated by all whisky. While the majority of respondents were likely whisky drinkers already (the poll was included within a satirical article entitled: A guide to drinking whisky if you’re a weak female), whisky can still be an intimidating arena for the uninitiated, regardless of gender. 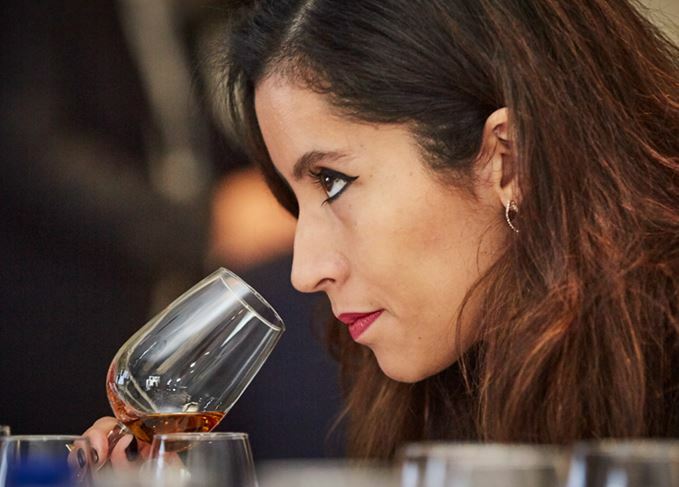 Nicola Riske, brand ambassador for Macallan, hosts whisky tastings all over the world, and insists she’s never noticed a gender disparity among those feeling overwhelmed by whisky as a newcomer. ‘It’s very rare actually that I meet someone who immediately has an adverse reaction to whisky. I find there’s a curiosity there, and more than anything it’s just they may have felt shy or intimidated by whisky as a whole, both men and women, if they are not familiar with it. Laing is just one of a growing number of women working in the creation of whisky in Scotland, who today account for a sizeable chunk of the industry’s total workforce, in roles from distillers and blenders through to marketers and brand ambassadors. More than half of Diageo’s blenders are now women, while 53.3% of Compass Box’s team are female. The Scotch Whisky Association (SWA), the trade body representing the industry in government and export, is run by a woman. Yet, despite women’s significant role in the creation of whisky, the perception lingers among the general public that whisky is a ‘man’s drink’, and intimidating to women in particular. It’s a common tale among many women working in the industry globally, as well as whisky lovers who often meet quizzical looks when ordering a dram, but it’s hardly new. Traditional whisky advertising was always aimed squarely at the gentleman drinker, with women playing a supporting, often subservient, role. In a world where gender stereotyping was the norm, men drank whisky, while women were expected to choose daintier, more ‘feminine’ refreshments. During the mid-1900s it was decided that women were in fact worth advertising to, initially as gift-givers, then as consumers themselves, but by that point the standard had been set. Gwilt believes the key to challenging this perception of whisky as a ‘man’s drink’, and diminishing its intimidation factor, is through both education of the liquid and sensitive marketing. ‘I’d like to see a genuine reflection of the consumer in whisky marketing that’s gender-balanced,’ she says. Arguably the only Scotch whisky campaigns to successfully portray an inclusive face of the modern whisky drinker are those from Haig Club (which features an equal mix of men and women) and Glenfiddich’s Bourbon Barrel Reserve, a US-only expression launched in 2016 that reimagined the single malt whisky drinker through a series of short films. Despite the ‘misstep’ over Jane Walker, Johnnie Walker’s VP Stephanie Jacoby is all too aware of the influence large whisky producers have in swaying consumer opinion. ‘As advertisers, we have the power to normalise gender equality in what we choose to show in our ads,’ she says. The movement will tackle ‘out-dated perceptions’ of the stereotypical whisky drinker. How is whisky supporting gender equality? Whisky is a gender-balanced industry, so why is it still considered a man’s drink? With more women than ever enjoying a wee dram why does gender stereotyping still exist at all? Gender-appropriate whisky has no place in a world devoted to fighting sexism, says Becky Paskin. The industry has not always succeeded in its attempts to end gender stereotyping in Scotch.